This is the ugly, divisive and deadly fight in our community right now. 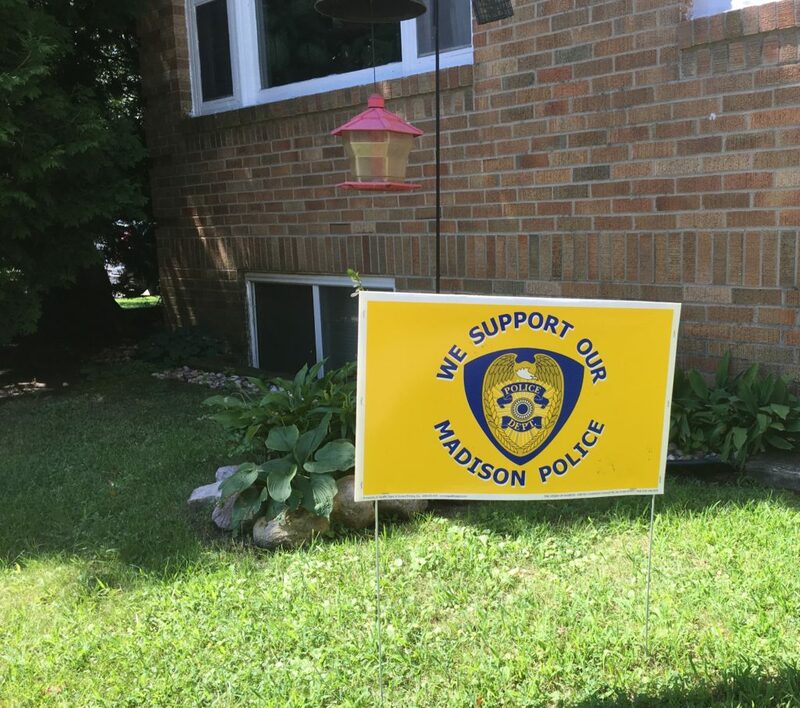 that someone asked her to put a “I Support Madison Police” sign in her front yard. She said, “If you have one that reads, “I Support Madison Police and Black Lives Matter” I will put that in my yard. That’s the other option now, the one that equally loves Black People and Police Officers. This concept of both/and, not either/or, is a good one and I jumped onto that for a little bit…and then I kept digging. Being a Police Officer is a profession. It is an occupation. It is a choice. I have a significant amount of respect, appreciation, and love for many people that choose to be Cops, Firefighters, Military etc. It is a life of service. I respect that, and yet the people that hold those positions still need to earn their individual respect. It isn’t just given out. Sometimes it is earned and then lost. Being a Police Officer is a career. It’s a job that people get paid for. Police officers take their blue uniforms off at the end of the day. Some say you don’t take it off, it becomes you. Yes, but no. It is a chosen profession. You can quit, retire, get fired. It’s a job at the end of the day. Black and Brown skin. Not a choice. At all. Can’t take it off. Can’t call in sick for the day and blend in with all the other White people at the office. This is not an equal argument, Blue Lives Matter vs Black Lives Matter. Just like All Lives Matter, Blue Lives Matter steps us back, not forward. And they are. Let’s always keep that in mind when having these discussions and working towards change. White people have power. It is how the system is set up. Police Officers have a lot of power. Based on the licensing rules of their profession, they are held to higher standards than citizens. They carry guns and are able to shoot people. That ability creates power that non Police Officers simply DON’T have. The Police are already supported by a system that is set up to protect them. Because words matter, I will no longer be pro-Black and pro-Police because it over simplifies a deeper understanding of the change that is needed. I might love both equally to some abstract extent. However, I wouldn’t use the word ‘support’ for both equally. I support the Black Lives Matter movement. I support the urgency to give power to the people. Black and Brown people. 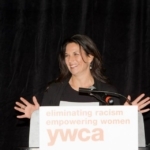 Goldstein declares, “The formation of Black Lives Matter is a direct outcome of our poorly designed criminal justice and economic policies.” Because our criminal justice system and economic policies need to be changed to serve Black and Brown lives better, then supporting the Black Lives Matter movement is urgent and necessary. My lack of in-depth understanding, experience and education when it comes to making changes in the justice system shouldn’t silence me. So how do I stand up for change and demand change, when I simply don’t know enough? I look to people that I trust who have the same desires I have around racial justice and I support them and I learn from them. I support the Black Lives Matters Movement and local Madison WI movements like Freedom, Inc. and Families for Justice Dane Co. I support Black and Brown Police Officers (not the system) who are isolated within their own community, for wearing the uniform, and yet also isolated within their Police community (I hear this from them directly). I support programs like Amigos en Azul, created by Black and Brown Police Officers to serve their communities. I support the need for justice for people of color and the initiatives that focus specifically on that. 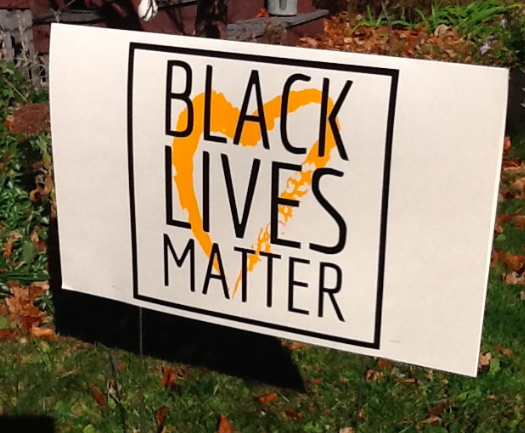 I think of my friend who will only put up a sign in her yard if it combines both messages, pro-black and pro-police and appreciate her for taking that stand. For me, there is a difference in standing up for people and supporting professions. Not too long ago I would have wanted the same sign as my friend. Today I am certain that I won’t support the police department in the same way I support the Black Lives Matter Movement. 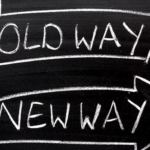 I remain open to changing my opinions as I learn and grow. I allow others to have their own truth, perspectives and opinions and I listen. I will continue to dream of a future where People of Color are not treated differently because of the color of their skin and there isn’t a need for a yard sign war when the streets are deadly enough. This is such a well considered piece Sara, I love how you continually keep digging, keep peeling back the layers. Not making a stand / choice / decision and assuming you are done. This to me is your greatest strength and why your work matters: “I remain open to changing my opinions as I learn and grow.” Thank you for this.